One of the most wonderful things we can see in nature is a rainbow with all of the primary colors displayed in all their glory – it’s one of the best sites after a rainstorm. 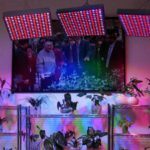 It’s that color spectrum that gives the flowers and plants the range of sunlight they need for healthy growth, and any attempt to reproduce that natural light in an indoor setting is bound to be a bit of a challenge. 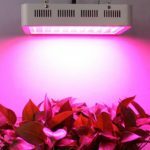 Manufacturers of indoor grow lights are constantly trying to improve their products in an attempt to reproduce natural sunlight in all of its various phases. 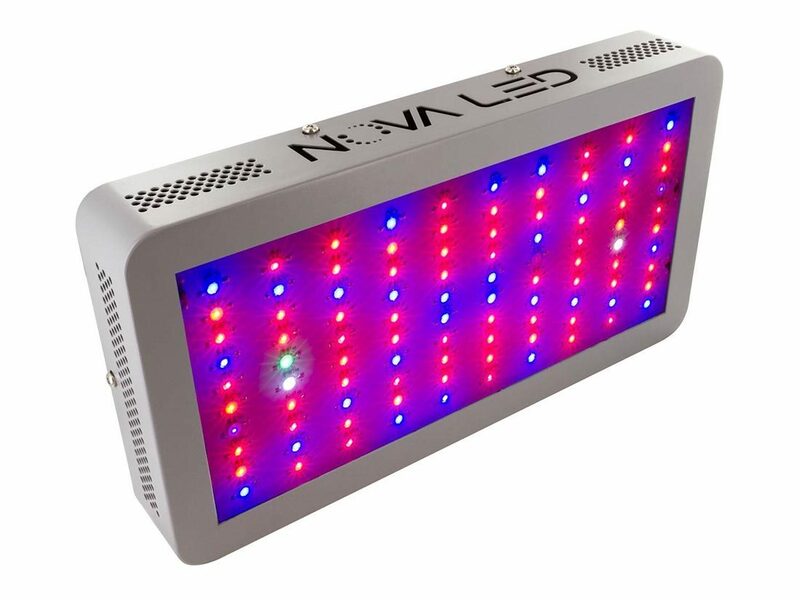 The Nova N300 is one of the most promising affordable indoor LED grow lights that I’ve found in my research into these products. It’s a very affordable option for most people at well under $300, and it has a lot of attractive features and benefits that you’re bound to like. 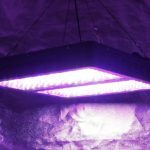 Indoor LED grow lights come in all different shapes and sizes and while many of them claim to offer the full spectrum of colors to help your plants grow, most of them fall far short of that. According to Nova, the manufacturer of this line, their product really does offer a full spectrum with 12 different bands of color included in their lighting system. There are customers that dispute this, but Nova stands firmly behind this assertion and most customers seem to agree with them. 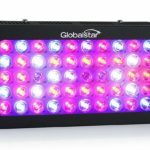 Not only does it offer the red lights and blue lights, it also offers ultraviolet light and infrared light, and it even offers white light to help you see. The manufacturer of this lighting system made the conscious decision to angle their lights within the lighting tray at an angle between 90° and 120°. This angling of the lights actually allows the lights to be closer to the plants and puts them at an optimal distance for photosynthesis to occur. I really liked this feature as I think it shows the attention to detail that they’ve put into this product – most manufacturers are content to throw in a couple of different colored bulbs and call it a day. The people at Nova are clearly looking to provide you with the best product possible. 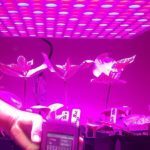 There is no doubt that keeping your lighting system cool is essential if you’re going to keep your costs down. On average, an LED lighting system is more than 60% cooler than other lighting systems; this also makes it a lot more energy efficient as you don’t have to go out and buy expensive cooling systems to keep your room at a comfortable and safe temperature. Fluorescent and HID lights operate at much higher temperatures – let’s just say you wouldn’t want to touch one after it’s been on for a couple of hours. In contrast, if you felt one of the LED bulbs in this Nova lighting system it would be barely warm to the touch. What has really surprised me in my research into LED lights is that most of the products out there don’t give you the ability to daisy chain. If you’re not familiar with the term when it comes to lights, think back to your Christmas lights that you put up every year. Normally, you can connect multiple sets of lights together to form a chain and only the one at the end needs to be connected to a wall outlet for all of them to work. This is the principle I’m talking about and the Nova N300 gives you the capability of plugging multiple lights together. Not only does this light save you money by eliminating the need for an expensive cooling system, it’s also a lot more energy efficient than other bulbs as well. While providing you with the equivalent of up to 300W of energy, it actually only consumes about 18W of power. That kind of difference can really have an effect on your wallet. Instead of scrambling for change you’ll be thumbing through those $20 bills. 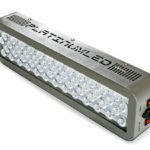 There are some customers that dispute the effectiveness of the output power of this lighting system, but they seem to be in the minority. 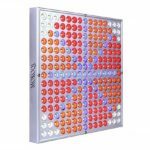 As is the case with most other LED lighting systems this system is also extremely long lasting. On average you can expect these Nova lights to last you at least 50,000 hours and, depending upon how they’re used, as much as 100,000 hours. That’s a very long period of time and when you consider that you can purchase one of these systems for just a few hundred dollars you really are getting your money’s worth out of them. One complaint that I ran into a couple of times in reviewing this product was the suggestion that it incorporates too much blue light. 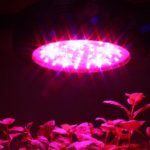 As we mentioned elsewhere on the site, blue light is best for the vegetative stage of your plants’ growth cycle and it is necessary, but you don’t want to overdo it. Having said that, I’m not sure that I agree with this assessment as this is a system that I’ve actually had the opportunity to see in use and it seemed to have the right mix to me, although you’d never know this for sure without actually testing the system out. Despite a couple of concerns about this light it seems to be one of the best ones that I’ve found so far. It’s priced very reasonably, you can actually use it for creating daisy chains, and its power consumption is minimal. I should also mention as well that it comes with a five-year warranty, which is well above industry standard. Overall I think this is one of the best options out there for a small indoor grow operation.